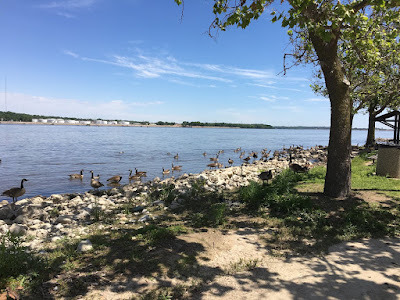 On a recent trip to the Quad Cities of Moline and Rock Island, Illinois and Davenport and Bettendorf, Iowa, one item I was looking forward to was some time riding bikes along the river. I was excited to learn that the Quad Cities Convention & Visitors Bureau has a few points where you can rent bikes and go for a ride, with rental for an hour up to a whole day. We squeezed in a ride between breakfast and lunch on a beautiful, clear and mild day. It could not have been more perfect cycling weather. My husband and I picked up bikes at the Quad Cities visitors center at 1601 River Drive. With over 100 miles of paved bike trails, we could have ridden for hours, but to fit within our schedule, we went out for about an hour, but it was a perfect break in our day to slow down, enjoy some fresh air and get some exercise. We put on our helmets, grabbed our water bottles, slathered on the sunblock and hopped on the bike trail that was just yards from where we got our bikes. 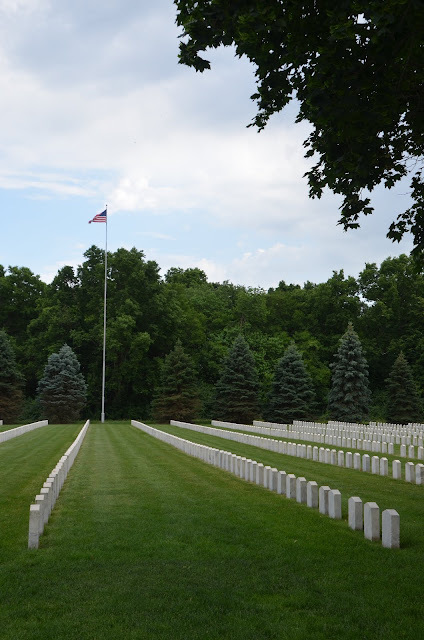 On a visit to the Quad Cities, as my husband and I were planning to visit the Rock Island Arsenal, I came across the Confederate Cemetery among the listing of sites. I tried to wrap my head around why there would be a Confederate Cemetery in a union state and then learned that there had been a prisoner of war camp at the arsenal. The cemetery is the final resting place of all those who died while being held at the camp during the war. The cemetery is all that remains of the prisoner of war camp that held over 12,000 inmates over the course of the war. Nearly 2,000 are buried in the Rock Island Confederate Cemetery, who succumbed to injuries and disease between 1863 and 1865. The cemetery covers approximately three-quarters of an acre of white stones (installed in 1908 to replace wooden markers.) Four confederate cannons sit at the entrance. The Center for Visual and Performing Arts in Munster, Indiana is just a stone’s throw across the Illinois border and offers a number of classes, exhibits and performances for lovers of the arts. The Theatre at the Center is a 410-seat rounded theatre that is the only professional theater company in Northwest Indiana and the quality of the experience is comparable to that of a professional theater in Chicago. 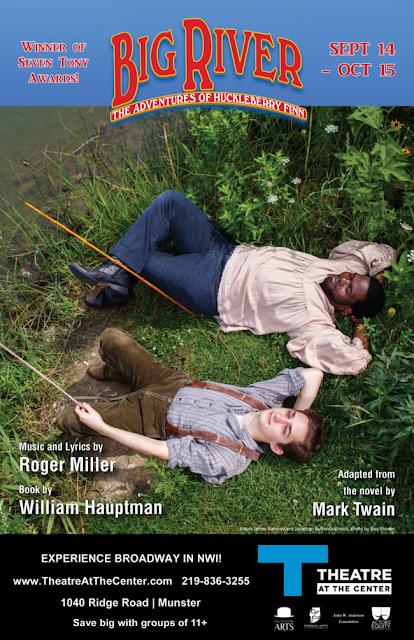 The current run of Big River: The Adventures of Huckleberry Finn continues through October 15. Winner of seven Tony Awards, including Best Musical and Best Score, the musical follows some of Mark Twain’s classic tales along with music by Roger Miller. I had the opportunity to see this masterpiece twice and couldn’t recommend it more. James Romney as Huck and Jonathan Butler-Duplessis, who plays the role of a slave named Jim, do an extraordinary job of portraying this unlikely friendship and the adventures they encounter along their journey.